14° Shower or two developing. 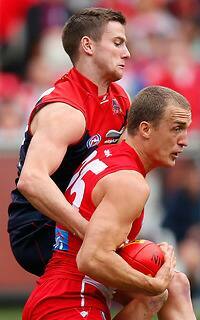 THE SYDNEY Swans have accounted for Melbourne in comfortable fashion, downing the Demons by 31 points at the MCG. The Swans booted four of the first five goals to set up a early lead and they were never seriously challenged by the Demons, who gave every effort but were outclassed. Jarrad McVeigh and Kieren Jack were outstanding for the Swans in their 16.20 (116) to 13.7 (85) victory, while youngster Brandon Jack contributed four goals as a small forward. 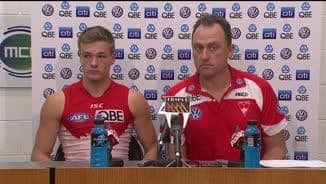 "It would've been better to kick a bit better than that, and probably our forward entries weren't as good as they should've been," Swans coach John Longmire said after the match. 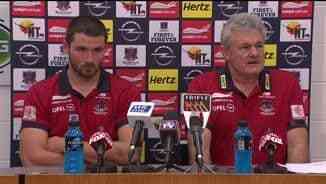 "But it's always hard to win a game of AFL footy, and winning a game of AFL footy is pleasing." Melbourne's best players were found in defence where Dean Terlich and Tom McDonald were industrious. At the other end, Jack Fitzpatrick, whoc is developing a reputation as a cult hero, presented all day to finish with three goals. "The thing I really enjoyed today was some of his aerial contested work. He's needs to continue to work on his ruckwork, but he's got a great attitude to his footy," Demons interim coach Neil Craig said. "Cult hero? He's a fair way away from that I think. But that's something for our supporters to look forward to, provided Jack continues to improve." Craig's third game as caretaker coach, Melbourne took the game up to the Swans and only trailed by eight points late in the first term. 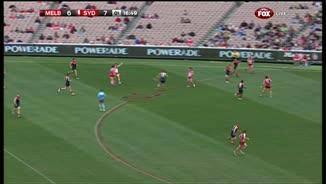 Star Swans recruit Kurt Tippett broke clear of James Frawley's close attention to snap a great goal and put his team 14 points up at quarter-time. The premiers put the game out of Melbourne's reach in the second term, but should have been further ahead than 35 points. They kicked a wasteful 4.9 after using their celebrated pressure to keep the ball up their end of the ground for much of the term. Melbourne kicked the first two goals of the final term to reduce the margin to 30 points. 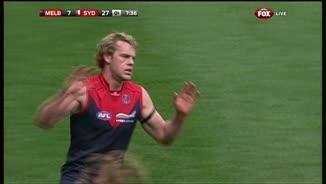 Demons fans were furious when a holding the ball decision was not paid against Tippett midway through the last quarter, allowing him to set up a goal for McVeigh. 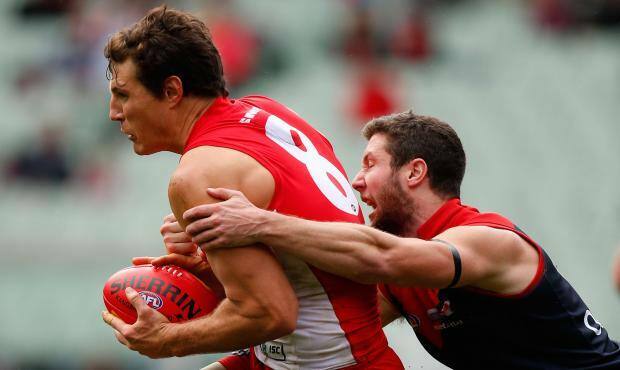 The Swans quickly kicked another two goals to snuff out the Demons' faint hopes of an upset. The Swans' win was soured by a first-quarter quad injury to Sam Reid, who was playing his first game in four weeks after recovering from a quadriceps injury. 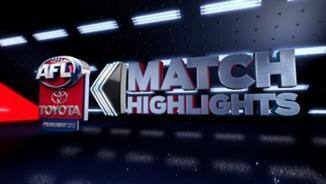 But the premiership player limped from the field in the first term and was subbed out of the game immediately. Ice was applied to Reid's left quad as he sat out the rest of the game. "It's clearly not ideal," Longmire said. "To miss five weeks – and we were conservative with his comeback – and to last 10 minutes has been disappointing for him and us. "The fact is he's not going to be there for another few weeks." Melbourne defender James Frawley was subbed out during the third quarter after suffering hamstring tightness, but the Demons are hopeful he will be fit for next weekend's tough trip to Geelong.